Directions | Law Offices of Lane and Hamer, P.C. 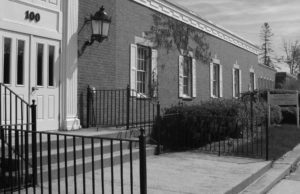 Our offices are located at 100 Main Street, in Whitinsville, Massachusetts, at the corner of Main Street and Forest Street — right next to the Whitinsville Community Center and across the street from the former Whitin Mill complex. Parking is available in the private corner lot across from the office building on Forest Street. Note that “Whitinsville” is a village within the Town of Northbridge. The following directions take the Interstate highways to Route 146, which has an exit for Main Street in Northbridge.